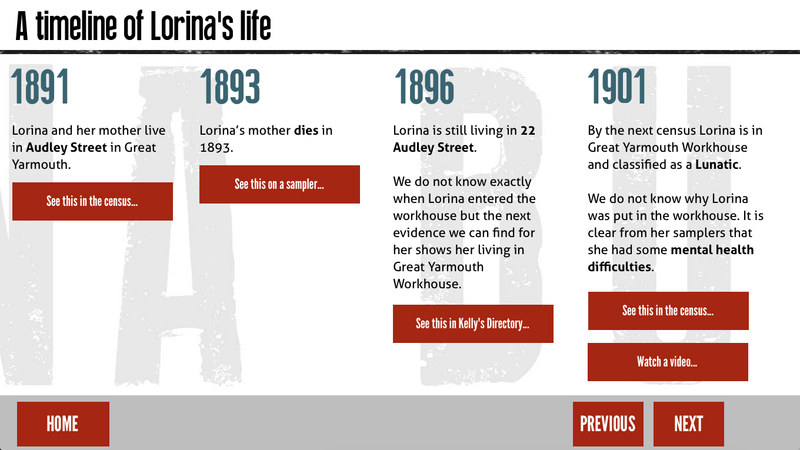 Lorina Bulwer was an inmate at Great Yarmouth Workhouse – and was not happy about it! 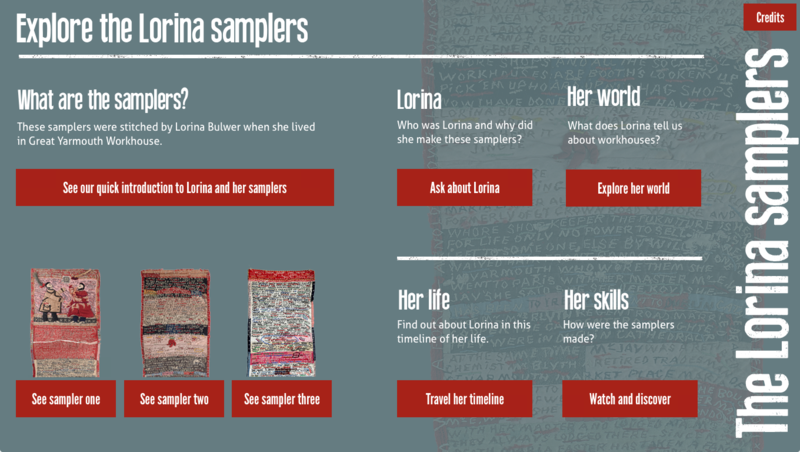 Over the course of about six months she stitched three enormously long ‘samplers’ (over 3 metres each) with an almost endless rant about her situation, her fellow inmates… everything. 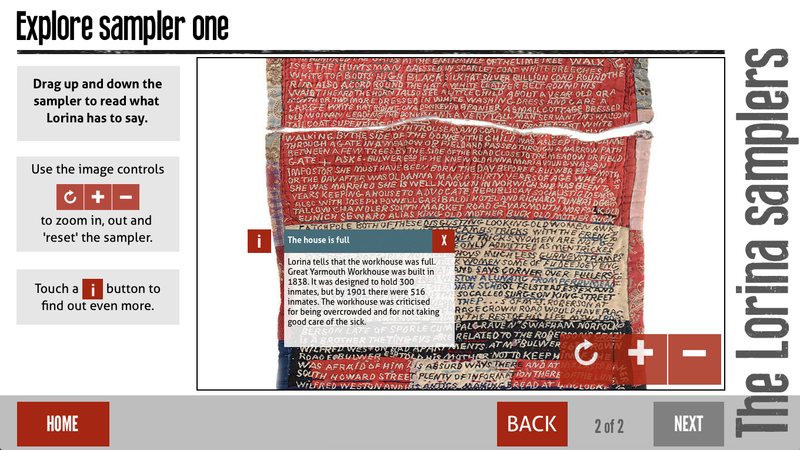 The samples are too delicate to be left on display for for Gressenhall Workhouse Created a digital exploration tool which allows visitors to explore the samplers up close – and for Gressenhall to add their own notes and comments all along their virtual length.